Clayton Benjamin Lambert (born 10 February 1962 in Berbice, British Guiana) is a cricketer for the West Indies and the United States. 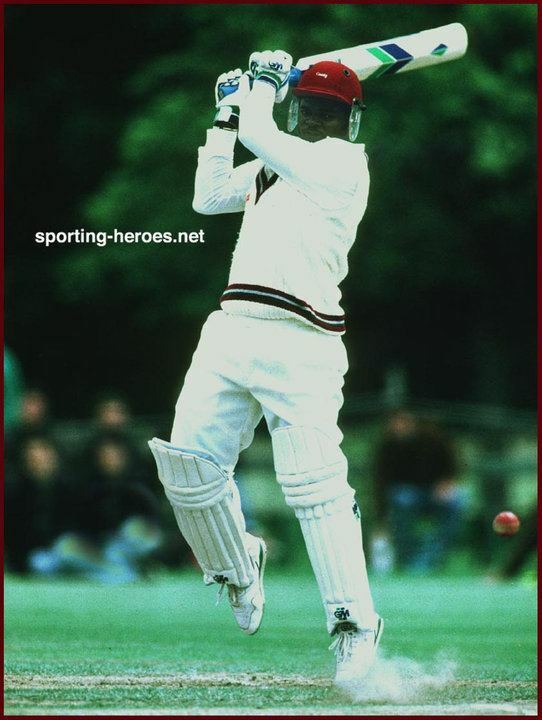 Lambert first appeared in the West Indies team for a One Day International against England in Georgetown, against whom he also made an unsuccessful Test match debut at The Oval in 1991. Although he played in four ODIs in Sharjah in 1991/92, he did not return to the Test match side until 1997-98, where he made centuries in both the fifth ODI and the sixth Test against England before struggling in the series against South Africa and being dropped from the Test side. Lambert returned to international cricket aged 42, playing for the United States in the 2004 ICC Champions Trophy. Lambert also played first-class cricket for Guyana and Northern Transvaal. Lambert now plays for Lawrenceville in the Atlanta Georgia Cricket Conference [AGCC] (Atlanta, Georgia (USA)).